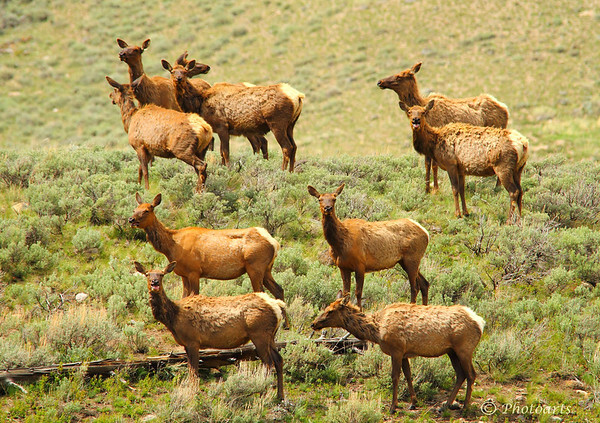 Herd of female Elk stop to look around in Yellowstone National Park. Love all the wildlife at Yellowstone. Elk always fun to watch and photograph. Nice capture of so many! Nice Herd of Elk Cows.